Max Klein was the man who invented (or co-invented) paint-by-numbers, the fad that swept the nation in the early 1950s. In 1956 he sold his interest in the painting business (Craft Master brand) and began a successful career in plastics. Later in life, Max resided in West Bloomfield until his death on 20 May 1993. I am writing a brief biographical sketch of Max and would like to know if you have in your holdings any information relating to him? 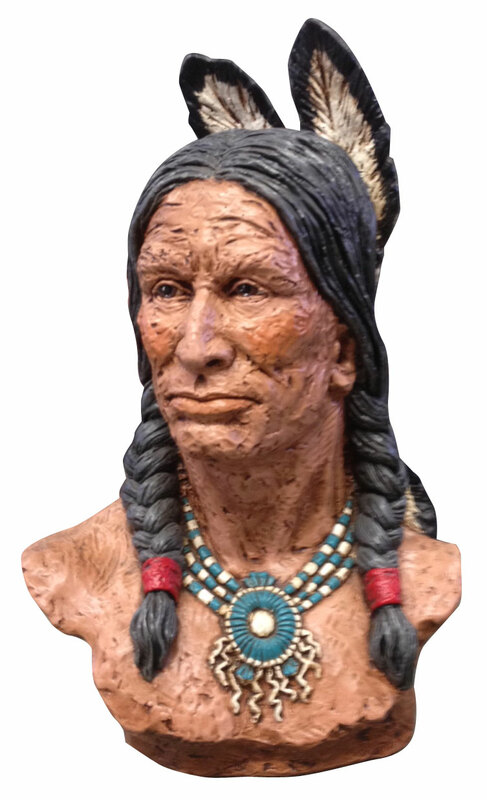 Ceramic bust of Native American Chief Pontiac donated February 2013 by James Bowers which now resides in the museum.